The fact that so many challenges to religion in public schools have been popping up in the news lately is probably a good sign that democracy is alive and well, and that the public care about having a serious discussion about separation of church and state. One of the most recent cases involved an Illinois statute which requires teachers to hold a moment of silence at the beginning of the school day, and which was upheld by a federal appeals court. But is a moment of silence in schools a good idea, and does it illegally promote religion in a government-operated institution? The statute states that “[I]n each public school classroom each public school classroom the teacher in charge shall observe a brief period of silence with the participation of all the pupils therein assembled at the opening of every school day”, and that “this period shall not be conducted as a religious exercise but shall be an opportunity for silent prayer or for silent reflection on the anticipated activities of the day.” On behalf of his daughter, a public school student in Illinois, Robert Sherman sued the state, accusing it of passing legislation which prescribed religious practice, in contravention of the Establishment Clause of the First Amendment to the United States Constitution. A federal district court issued an injunction against the law, citing that the law lacked a secular function. However, two judges from a 3-judge panel in the United States Court of Appeals for the Seventh Circuit reversed that decision, ruling that the moment of silence was not necessarily religious in nature, but allowed students the option whether to use the time for religious observance or for some other, secular, purpose. In arriving at their decision, the appeals court considered legal precedence and reviewed both the Establishment Clause and the Free Exercise Clause. The moment of silence did offer a secular purpose, the panel ruled, by “establishing a period of silence for all school children in Illinois to calm the students and prepare them for a day of learning”. They also remarked that the Illinois law “addresses students’ rights under both the Free Exercise Clause and the Establishment Clause” as well as “their rights to ‘free exercise of religion’” and “‘freedom to not be subject to pressure from the State either to engage in or to refrain from religious observation on public school grounds’”. In addition, the court referred to the opinions of previous rulings which dealt with religion in schools, such as Wallace vs. Jafree, in which the court stated that “legislative intent to return prayer to the public schools is, of course, quite different from merely protecting every student’s right to engage in voluntary prayer during an appropriate moment of silence during the school day”. At first glance the ruling seems fair and makes logical sense. A moment of silence might be seen as a very generic practice with many potential functions, of which religious observance is only one. It could function as a form of meditation, but it could also serve as a means of contemplation whereby students gather their composure and prepare for the day ahead. It could, hypothetically serve any function which involves silent reflection. And as the appeals court judges suggested, such a practice allows religious students to practice their faith in silence while allowing non-religious students to use the time for secular purposes. On the other hand, the idea of a moment of silence understandably carries with it a spiritual or religious connotation, and it is conceivable that young and impressionable students might interpret it as a form of prayer, benediction, or communion being promoted by their educators. Moreover, it is easy to imagine some teachers using the practice to advance a subtle but significant religious agenda. What do you think? 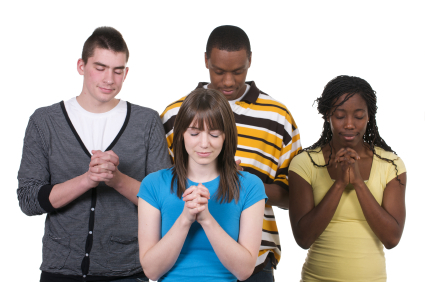 Is it okay for public schools to hold a moment of silence at the beginning of the school day because it allows students to use the time either for religious or secular purposes? Or is it a dangerous and slippery thing which can easily be manipulated to promote religion? Share your thoughts with us.